Oahu, Hawai’i–Today, the Outdoors Alliance for Kids joined musician Jack Johnson and his wife Kim, the Kōkua Hawaiʻi Foundation, Obama administration officials and more than 200 fourth graders to launch Every Kid in a Park in Hawai’i. The students received passes to America’s public lands and waters through the Every Kid in a Park initiative, which seeks to connect young people with the great outdoors by granting free entry to public lands, waters and shores for all fourth-graders and their families. During the event, the Johnsons announced a commitment via their Kōkua Hawai‘i Foundation to fund $100,000 worth of field trip grants, with the goal of reaching all 17,000 fourth-grade students in the state of Hawai‘i to ensure that they have the opportunity to use their pass to visit their public lands. OAK provided healthy lunches for the children at today’s event. “At REI we believe a life outdoors is a life well lived, and we commend the Administration for their efforts to instill the value of the outdoors in the next generation,” said REI Community Affairs Program Manager, Taldi Walter. 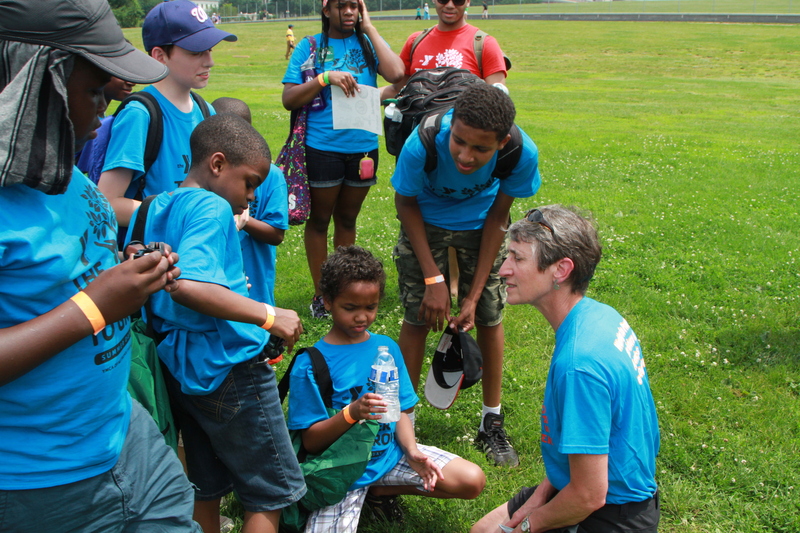 Washington, DC– The Outdoors Alliance for Kids (OAK) today announced that The Corps Network’s Public Lands Service Coalition has joined the national partnership to connect children, youth and families with the outdoors. With the addition of one of the strongest voices for youth service to OAK’s steering committee, the alliance will work to advance one of its key goals to expand environmental stewardship opportunities for young people. “The member organizations of the Public Lands Service Coalition (PLSC), which include conservation corps programs as well as conservation corps supporters, are excited and honored to be counted among this cadre of powerful voices for youth and environmental wellness. We have been working in tandem with OAK on addressing the alliance’s key issues. Additionally we have received great support from OAK on the establishment of the 21st Century Conservation Service Corps.” says Joe Gersen, Director of Government Relations for the PLSC. “The PLSC has been one of the organizations leading the development of the 21CSC since 2010 and it continues to provide leadership through the Partnership for the 21st Century Conservation Service Corps (P-21CSC).” said Eugenie Bostrom, Director of Strategic Partnerships and Communications at Southwest Conservation Corps. OAK is concerned about the growing divide between children, youth, families, and the outdoors. For many young people, spending time outdoors isn’t always easy or safe. Today’s youth spend 50 percent less time outdoors in natural settings than the generation that preceded them. Park and play deserts, a lack of transportation, stranger danger, safety, and overscheduled kids and adults are all factors contributing to the indoor and increasingly sedentary lifestyles of many kids and families. Physical inactivity is a factor in the rising rates in children of type II diabetes, poor cardiovascular health, and childhood obesity. OAK is working to reverse this trend by advancing environmental education, community health and wellness, and environmental stewardship initiatives for children and youth. Environmental stewardship opportunities like those supported by the Public Lands Service Coalition provide young people with jobs, training, service and volunteer opportunities that connect them to the outdoors and help youth assume responsibility for the stewardship and preservation of America’s great outdoors and the healthy development of the next generation. The PLSC promotes youth service jobs and career development on public and tribal lands and waters. Each year, Coalition members engage more than 17,000 young people in jobs and service opportunities, and they are poised to expand to address record-high youth unemployment, billions of dollars of backlogged maintenance needs on public lands, and the disengagement of youth from the outdoors. The Public Lands Service Coalition is a program of The Corps Network, the national association of service and conservation corps. For more information visit The Corps Network website at www.corpsnetwork.org. About the Outdoors Alliance for Kids (OAK): OAK is a national strategic partnership of organizations from diverse sectors with a common interest in expanding opportunities for children, youth and families to connect with the outdoors. The members of OAK are brought together by the belief that the well-being of current and future generations, the health of our planet and communities and the economy of the future depend on humans having a personal, direct and life-long relationship with nature and the outdoors. OAK brings together more than sixty national organizations including the American Heart Association, Children & Nature Network, Izaak Walton League of America, National Association of State Park Directors, National Recreation and Park Association, National Wildlife Federation, The North Face, the Outdoor Foundation, Public Lands Service Coalition (a program of The Corps Network), REI, Sierra Club, the Wilderness Society and the YMCA of the USA to address the growing divide between children, youth and the natural world. 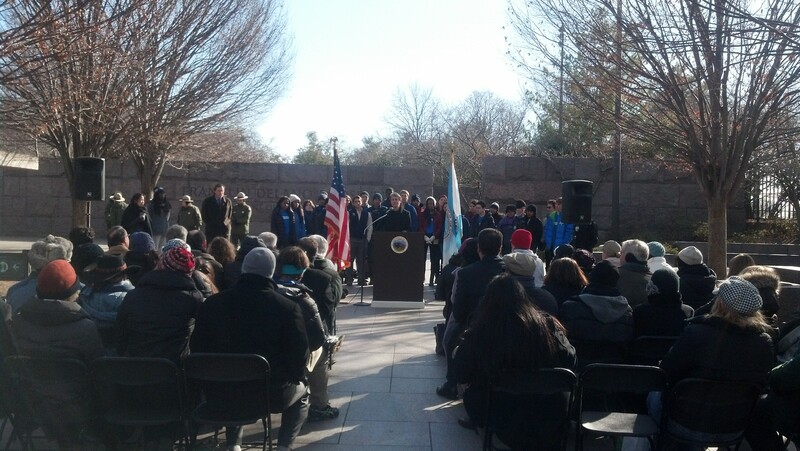 Washington, DC – This morning, Interior Secretary Sally Jewell joined American Eagle Outfitters, Inc. and the US Department of Agriculture to announce a major private sector investment of $1 million to put young people to work on our public lands through the 21st Century Conservation Service Corps. Members of the Outdoors Alliance for Kids (OAK) braved the record cold temperatures to join the Secretary by the Franklin Delano Roosevelt Memorial on the National Mall. Initiatives that provide young people with jobs, training, service and volunteer opportunities, like the 21st Century Conservation Service Corps, empower youth to assume responsibility for the stewardship and preservation of America’s great outdoors and the healthy development of the next generation. The Corps will teach youth basic job skills at a time when youth unemployment is near record levels and young people are missing out on critical early job experiences. In addition, 21st Century Conservation Service Corps programs will improve public health by helping young people develop and maintain active lifestyles. Corps projects connect youth to the outdoors in a fun, educational, and engaging manner, increasing the likelihood they will live active lives that will improve their health and enhance their quality of life. Today, OAK members sent a letter to the White House urging President Obama to support and prioritize the 21st Century Conservation Service Corps. “The cadre of conservation corps around the country have a strong record of engaging America’s young people in preserving our public and tribal lands, waterways and cultural heritage sites. This outstanding show of support for the 21st Century Conservation Service Corps exemplifies Secretary Jewel’s commitment to the land that she now oversees and to future generations of Americans,” said Harry Bruell, Co-Chair of the Public Lands Service Coalition and CEO of Conservation Legacy (formerly the Southwest Conservation Corps). “We are very pleased that American Eagle Outfitters and Secretary Jewell have made such a big commitment to putting young Americans and veterans to work on our public lands, so that they can preserve, protect, and promote some of America’s great national treasures. 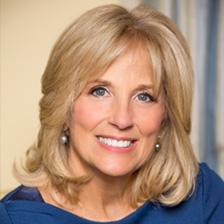 We hope this is the first of many commitments that boost America’s next great generation of conservation and community leaders,” said Mary Ellen Ardouny, President & CEO of The Corps Network. “IslandWood applauds Secretary Jewell’s announcement on the Department of the Interior’s commitment to the 21st Century Service Conservation Corps and connecting the next generation of diverse youth to the outdoors, together through dynamic public-private partnerships,” said Ben Klasky, CEO of IslandWood.